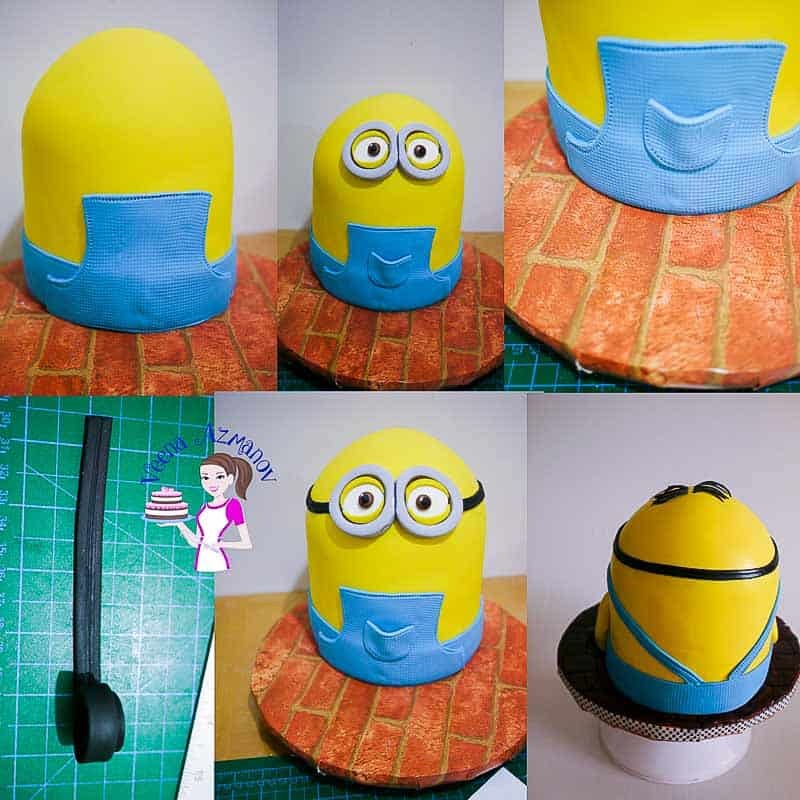 Minion Cake Tutorial – How to make DAVE the minion. 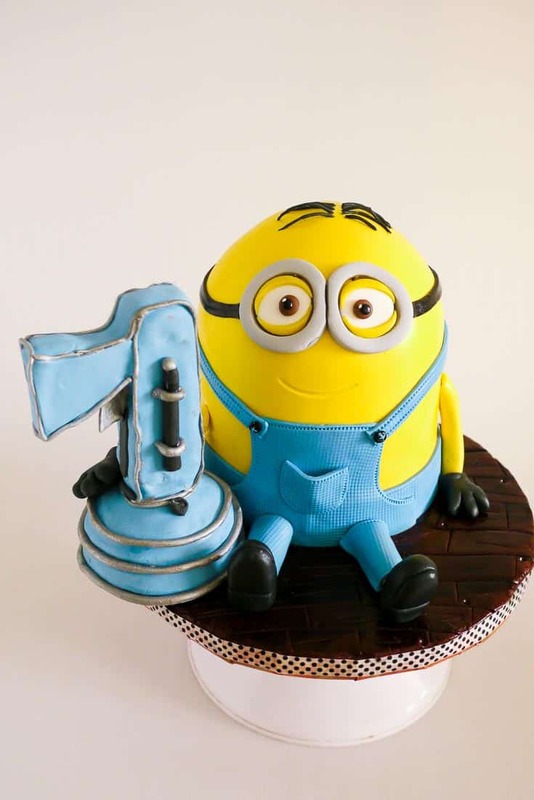 A minion cake makes a perfect celebration cake for kids any age be it a boy or girl. 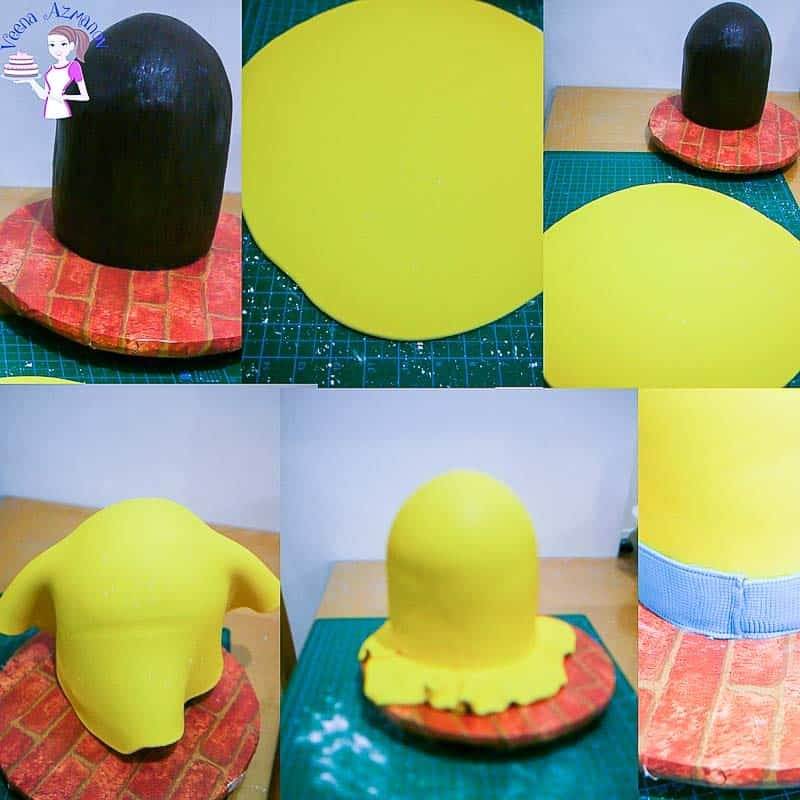 This simple, easy and effortless minion cake tutorial with step by step progress pictures makes cake decorating fun. 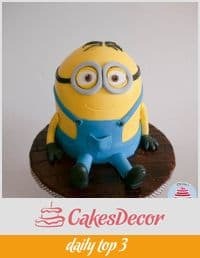 Whether you make Dave the minion or Kevin the minion there’s is bound to be a kid in your life that would adore this cake. By now you probably have watched the movie ‘Despicable Me’ with the cute ‘Minions’. Well, in our case it’s watched a couple of times over. Aadi is obsessed with these guys and can watch this movie a couple of times a day. Yup, we have it on disc now and my two monkeys enjoy the movie. Rhea has the cutest laugh when she’s thrilled with these guys. Aadi says the minons are cute even when you don’t see their face.. ‘even from behind they are cute mama’ You think so? 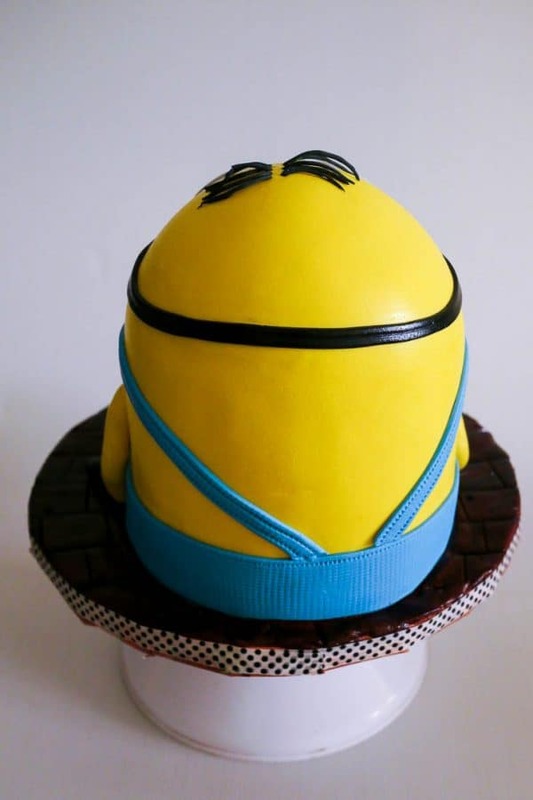 I recently made a minion cake for my son!!! He loves the minion movies and absolutely adores the minions. 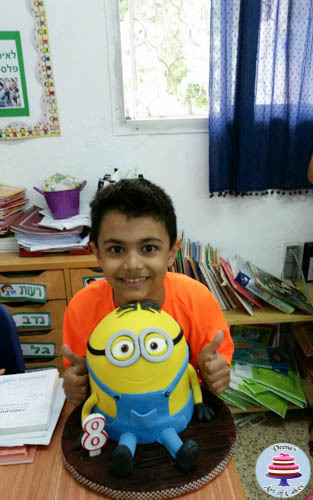 He loves this specific minion called ‘Dave’ very much!! Says he looks nerdy!!! I thought I’d take a few progress pictures to share with you. I hope you will find them useful for your upcoming project. Here’s Aadi with his minion cake. Stack the first three layers of filling. 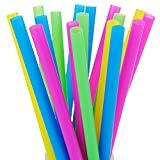 Dowel the cake with wood dowels or bubble straws. Place another 6-inch cake board on top and stack the rest of the layers. Chill the layers well – and frost with more icing. I used Dark Chocolate ganache on the outside and velvet vanilla buttercream between layers on the inside. 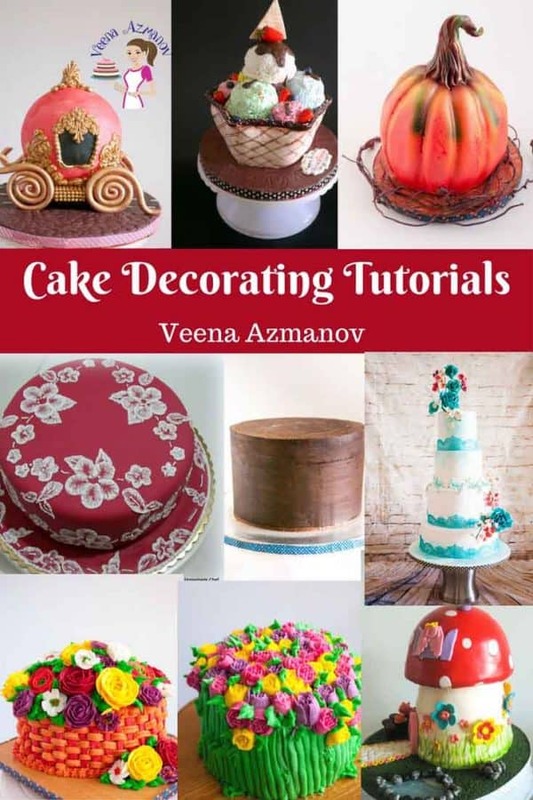 Use a piece of acetate sheet or plastic bottle, flexible cardstock to smooth sphere cakes – something firm that bends in your hand so you can curve it to the shape of you cake while using the firm edge to smooth it out. Personally, I prefer to work with a picture in front of me. Since I’m printing it out I might as well use it as a template. 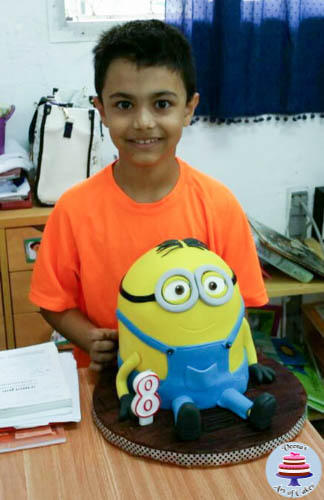 I printed my minion 9″ tall and 7″ wide. While my cake with ganache was chilling in the fridge my eyes would be ready and firm enough to hold their shape. 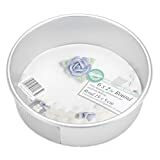 For the eyes use white sugar paste with round cutter. Soften the edges. Cut some yellow with the same size cutter as the white but roll the past thinner. Use two brown sugar paste balls for the eyes; flatten them to size on the template. Use black for the pupil and a tiny white for the highlight. You need to paint the rim silver for a more realistic look. Let them rest on the template for a while so they firm up. 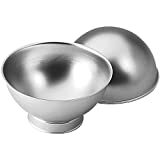 You do not want them to be hard just a little firmer. Brush the cake with sugar syrup and ensure you have no gaps as that will give you air pockets. 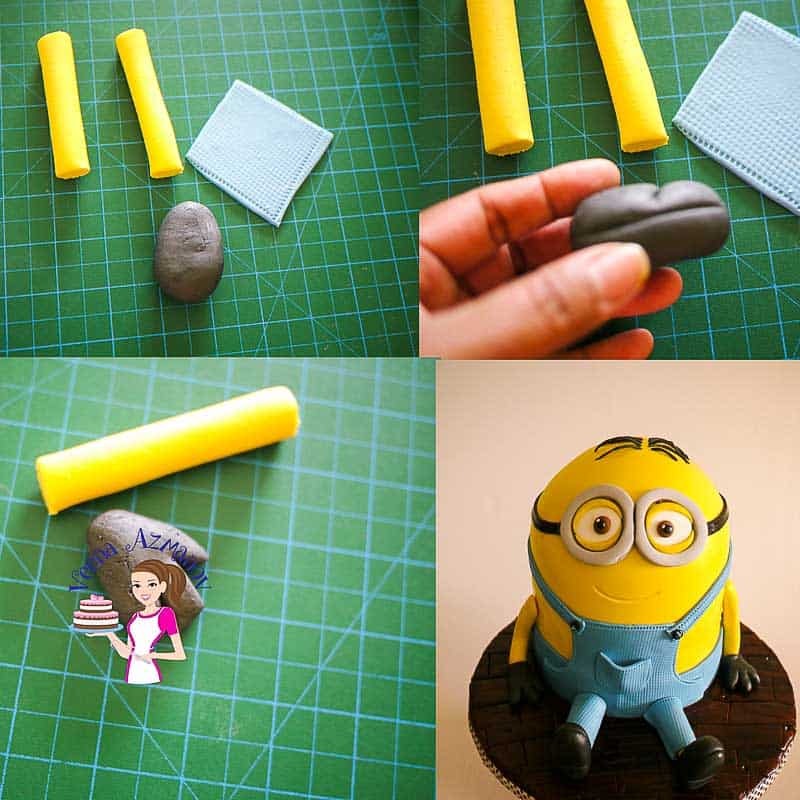 Roll some yellow sugar paste. I used white Satin Ice fondant with Magic Colors – Egg Yellow and Lemon Yellow mixed. Cut off the excess and smooth the cake with your hands or a cornstarch pouch. Roll a strip of blue sugar paste. I used Magic Colors royal blue to get this blue color. Cut a strip about 2 inches in wide and 22 inches long. Use a stitch tool to make the stitch marks on the edges. Dust the strip with cornstarch then roll the strip from two ends towards the middle. This prevents the fondant from stretching. 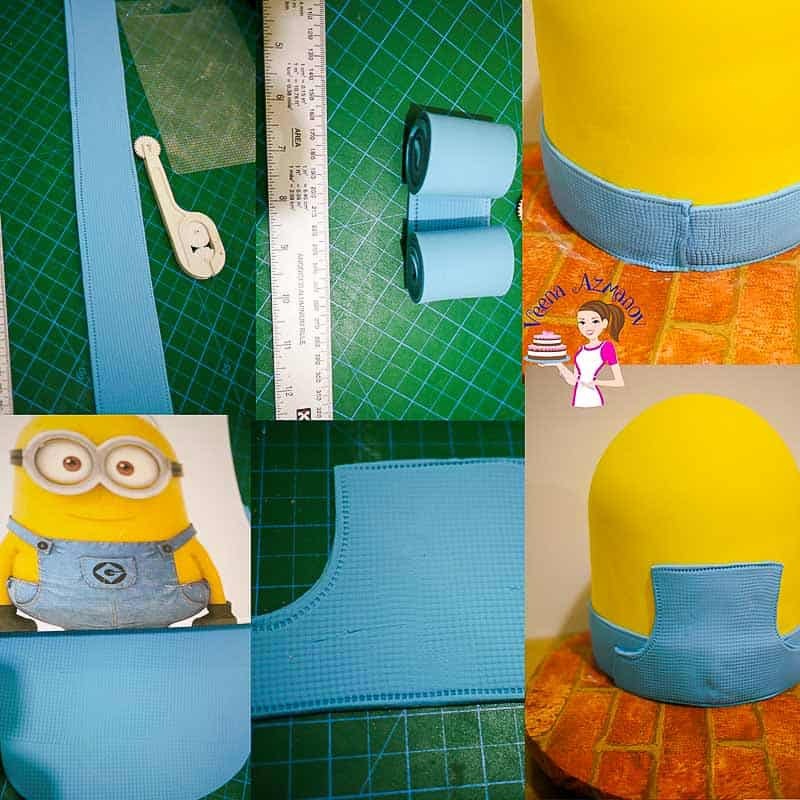 Now pick the role and place it behind the minion (back) and unroll the strip towards the forward. Seam in front. This way you will have no stretching or lose the shape of your strip. Roll some blue paste; texture it with a texture mat again. Place the paste on the template and cut! Use the stitch tool to make the stitch marks. Place the overall front in place with a dab of water. To make the little pocket, use your template again or use an oval cutter in half. 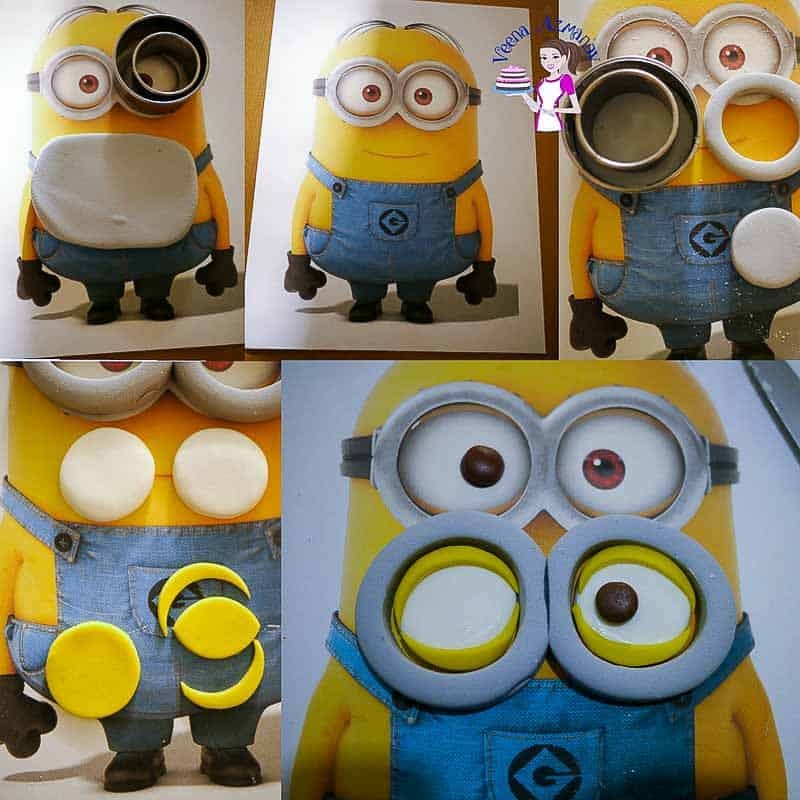 Time to place the minion’s eyes and goggles. Use just a dab of water and hold for a few seconds. They should not slip but if you need to; add a tiny piece of spaghetti between the goggles and the eyelids. just to help secure. Make his mouth. I just used my Dresden tool to create the mouth but you could use some black paste and round cutters and use the same technique we used to make the eyelids. Roll a long strip of black paste. Use the side of a long rule or scale to indent the middle. Roll into a swiss roll. Unroll the black strip as you go around the goggles. I liked this brick effect contact paper I had used for the board but then changed my mind because I felt it was a bit too obvious. I felt a dark board might do justice to the yellow. So I did a darker wood floor for my board. Sorry no progress pictures here but I did it exactly the same way I did the board in the Pink Hand Bag cake video. Roll a long sausage – cut into four. Roll a square of blue – texture and add stitch marks as below – then wrap it around the yellow legs. For the shoes – take two balls of black paste. Roll into a sausage, flatten it then mark the sole and heels. For the gloves – similar to hands – roll a small piece of black into a thick teardrop. flatten and cut three fingers. For the hair – I just rolled some black sugar paste between my fingers – let them dry on a small bottle in a curved shape. Once dried place them on the head. If you want them standing just let them dry straight then use a toothpick to make holds and place them carefully on the head. I also made him the Fart Gun!! yes! In fact, I redid it twice!! but it never made it to the cake. Why? Every time I turned my back Aadi picked it up and started playing with it. So the paste never got the time to dry, and of course all those fingerprints. Finally, I gave up!!! Here it is. See how shabby it looks – it’s got fingerprints everywhere. So I do hope you find Dave the Minion tutorial helpful. Happy this cake made it to the Daily Top 3 on Cakes Decor too! Yeey! 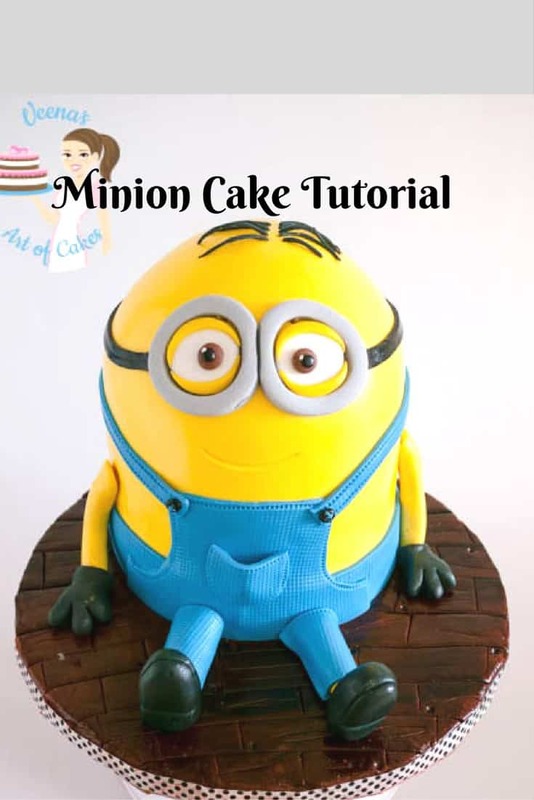 I have always wanted to make a minion cake, this post has motivated me to do so now. Thanks for sharing effortlessly ur recipes as we the upcoming bakers look up to u. It was indeed helpful. U r a cake magician ..love ur work as always . Thank you so much Veena for all your posts and recipes. I really have learned so much from you. I made this minion for my sons. It was not the same as yours but everyone loved it. Thank you !